« When did Arsenal win their first ever trophy? Clue: the anniversary is tomorrow. Last week, I took a look at the Arsenal season review of 2007/2008 because it was the nearest trophy to Arsenal on these 7 trophy-less years. And in doing this I noticed many refereeing decisions which were harsh and against Arsenal. These decisions led Arsenal to losing the title to Manchester United by just 4 points and losing to Liverpool in the champions league. There was only one error from ref that let Man United scored the 1st goal, Brown pushed Hleb down that led many Arsenal players to demand that the ref take action. What happened however was that Brown passed to Ronaldo who assisted Rooney’s 1st goal. The ref was the” Mighty” Howard Webb who seemed to help Man United many times. This match was the 1st match Arsenal lost this season, their 1st goal was a penalty kick but if we see the replay, Aliadiere (the ex-Arsenal player) dived to get a penalty and Downing scored it. That was the worst moment in Eduardo’s career; although I know ref did the right thing in sending off their player after his tackle on Eduardo. But the draw came in the last minute after ref gave them a penalty when Clichy tried to clear the ball but a player from Birmingham fell down. If you watch the replay, we can see that Clichy’s leg was on the ball and the decision was harsh to say that least. In the 1st half, a Middlesbrough player gave the ball to his goalkeeper and guess what? RVP was ruled offside. Yes, he scored but the ref said it is an offside goal. According to FIFA rules, if a player passes the ball to his goalkeeper and opposition player takes it, it should never be an offside. Even their 1st goal Aliadiere was offside on the play but he didn’t touch the ball. Drogba scored twice, but one of his goals was from a clearly offside position. The collection of points are 8 points and taking 1 point from Man United because the draw , if we have half of the 8 points we will see Arsenal winning that league but for the referees. In the 1st leg, we drew against Liverpool at the Emirates stadium. There is one mistake that the ref admitted; he was biased when he took his decision which involved Kyut and Hleb and the shirt pull. Interestingly the referee was from the Netherlands and indeed from the same city that Kyut from. That perhaps was his reason. In the 2nd leg, on the 89 minute, Babel dived and the ref gave them penalty. All we have to do is imagine that if just a handful of these calls were given to Arsenal, they would be crowned with the EPL; and I suspect the number of wrong calls from them is increasing season by season. It really is getting worse by the month! Agree. We haven’t won a trophy in 7 years but for this particular season we can’t blame Wenger because the actions of officials are beyond his control. Already this season we have had a nailed on penalty disallowed against Fulham when Gervhino was hacked down, a disgraceful dive by Nathan Dwyer at Swansea gifting them a penalty when it was really a foul on Rambo and of course the Bale dive (yet Dean didn’t see fit to give Gibbs a penalty earlier in the game. Same old Arsenal, always cheated. I am a gooner – but where is your analysis on Man United’s dropped points from incompetent refs? Article is a bit meaningless without both sides…. 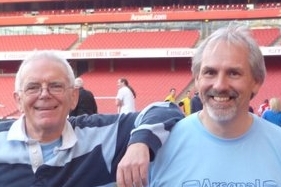 Richard – if you have looked at Untold Arsenal http://www.blog.emiratesstadium.info you will see that we now publish detailed ref analyses of matches of Arsenal and other clubs. To get to that situation has taken a number of years, and to keep it going takes a bunch of dedicated referees hours and hours of work. These analyses are now lauded widely, and appear to be read by the powers that be to day – but as I say it took us ages to get there. If you would like to help put in the work of analysing what happened during the season in question here – in relation to other clubs – we will of course publish it. But if not, please accept this as a starter – an opening of a new topic that could lead to all sorts of other explorations. @seagoon go to @Tony Attwood other blog, i wrote an article about how the refs are bias this season ! Arsenal that season had the best players in the EPL, Did we forget How Cesc & Flamini were with Rosicky & Hleb ! Eduardu was the best transfer that season but thanks to Taylor Birmingham players for what happened to him ! Did we forget hoe Man United players that season when the ref blow the end of the 1st half, most of their players will go directly to him even if they are winning to effect his future decision on the 2nd half ! even last season, the refs gave the EPL to Man United by taking more than 10 points from Arsenal ! Yes,agreed that 2007/2008 season is the most likely Arsenal will win the title..but,after so many season till now,I’ve realized one fact is that,the ref,most of them,favours Man Utd that cost Arsenal dropping points and most important of it,Man Utd play their formation 4-4-2-3.You might be wondering why there is another 3 infront..? ?The 3 ref that’s matters.Agree? @Kevin i agree with you, refs tried to take lets say more than 6 points each year and give the same the United & guess what ? the difference will be between us more than 10 points. I don’t know why the media don’t focus on the refs wrong calls ! !